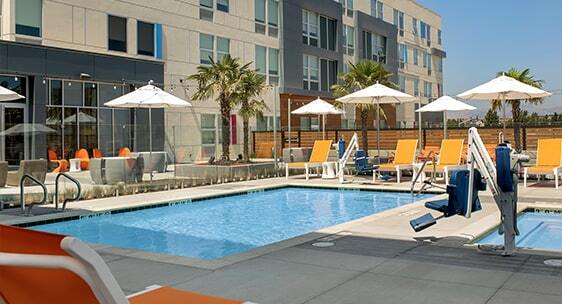 The Aloft hospitality brand is known for being plugged-in, up to date, and pleasingly trendy. 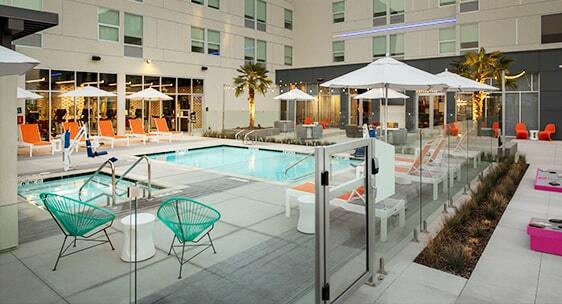 The brand-new Aloft Hotel in Dublin, California fits the aesthetic. Modern, clean, and open spaces are their design. Their community area matches the style of an upscale modern art gallery. An outdated iron or wooden fence wouldn’t be up to par, so they came to Aquaview to have us install our most popular system, the frameless glass pool fence. Paired with our AWS commercial aluminum gate, it’s up to safety code and up to date with a fresh, clean aesthetic.